Dr Jacinta is a Development professional with BSc. AgricEcon., MSc. AgriDev., and PhD. She is an expert in Food Security Analysis, Project Design, Management and Evaluation, Agribusiness Management, Agricultural finance, Agricultural Value Chain and Policy Analysis. 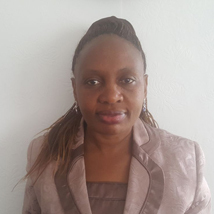 Jacinta has over 20 years experience in training and research; and has conducted several project evaluations on Agricultural development, Nutrition, Health, Education and Microfinance. She has international work experience having worked for FAHAMU, PREMESE and PWANI University (Kenya), OXFAM, Amnesty International and Gent University (Belgium) and Tanzania. She has made several publications in her field of expertise including the book: Intervention Model for sustainable household food security in the drylands: case study of Kenya. The book is available in amazone.